Hot AC/DC news straight off the press. AC/DC themselves will be attending the world premiere of ‘AC/DC Live At River Plate’ at London’s HMV Hammersmith Apollo on 6 May 2011. According to a short post on AC/DC’s official website, all 5 members of the band will be in attendance. 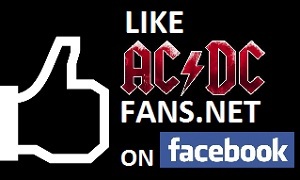 Get all your AC/DC news right here at ACDCfans.net – the AC/DC forum for serious fans. Editor’s note: for those eagle-eyed fans among us, yes, that is a typo on the AC/DC website (River Plate, not River Place).